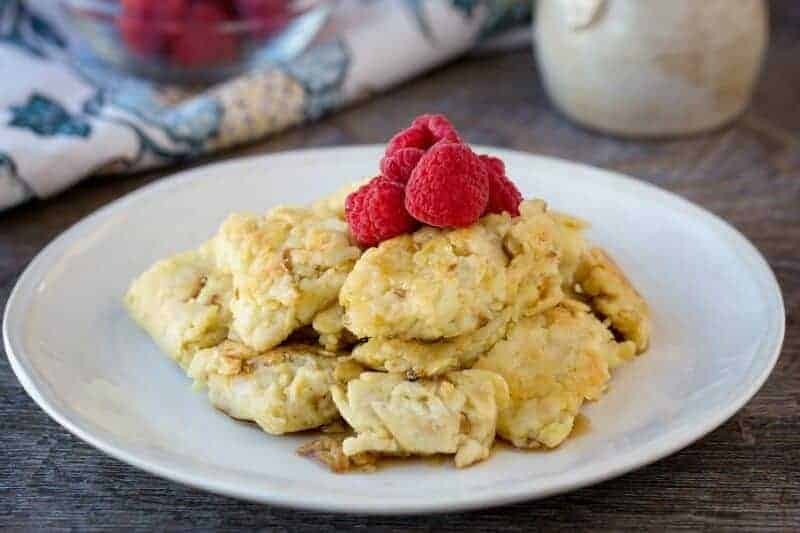 Passover is here and it is not one of those holiday’s that I look forward to for the amazing food! 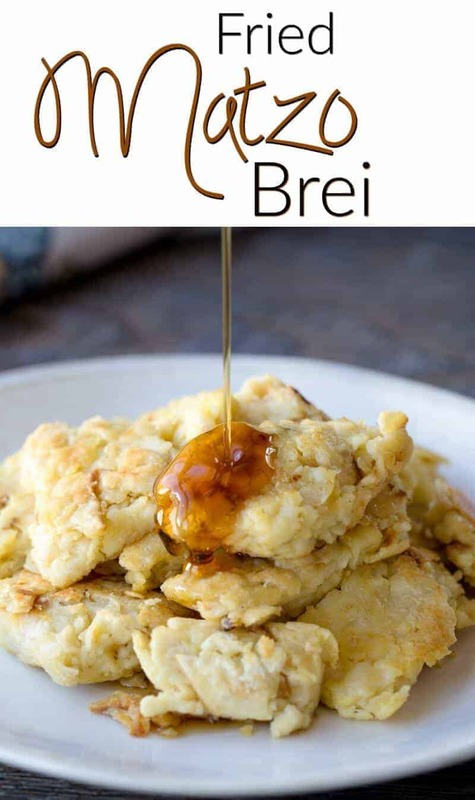 However, one dish I do really love is Fried Matzo Brei. This is one of those things that I can eat even when it isn’t even Passover! 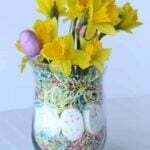 The problem, however, is I never made it – my mom always does! 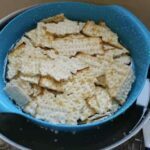 When my son, Joey, decided to keep Passover this year, he asked for me to make fried matzo brei – so what does a good mom do…. She asks HER mom how to make it! 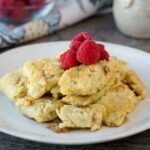 My mom always told me that there was nothing to making Fried Matzo Brei – well, she was right, it is super easy to make and believe it or not, mine came out just like hers! 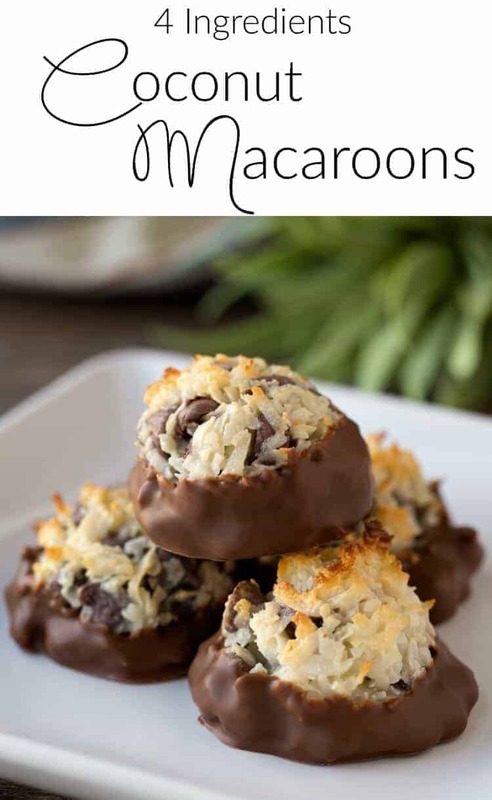 I do have a few other “go-to” Passover recipes – these Chocolate Chip Coconut Macaroons are seriously to die for! 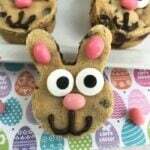 You will not want to wait for Passover to come to make them. 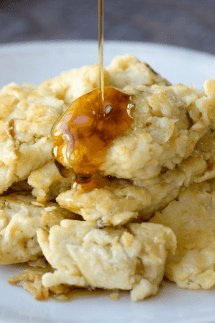 They are only four ingredients and super easy to make – be sure to check them out! 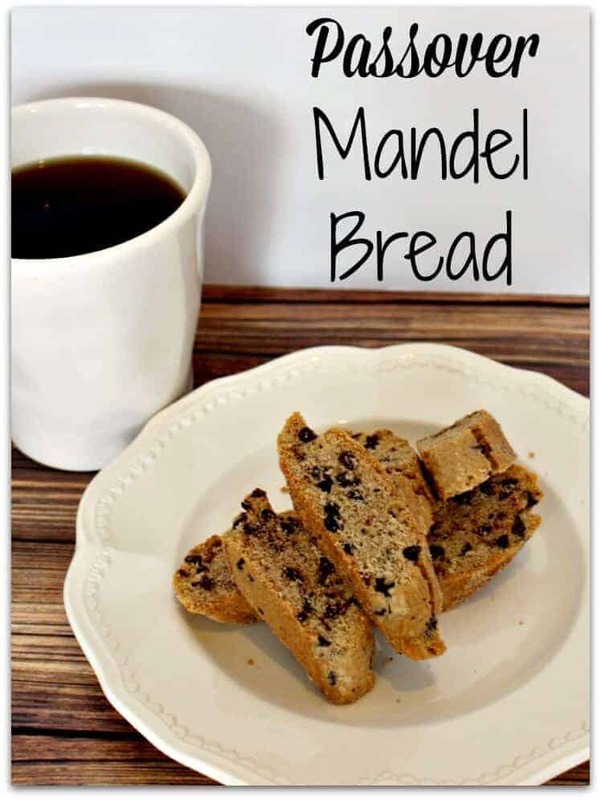 Also – this Passover Mandel Bread – another one from my mom and a family favorite! 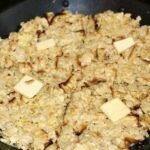 Add a little more butter and let cook and crisp up, stirring occasionally. 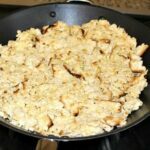 Save leftovers and reheat – they reheat great!! 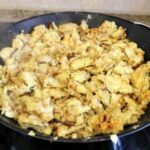 What is the best way to reheat Fried Matzo? I want to make it ahead and reheat for a mah jongg luncheon for my non Jewish friends. 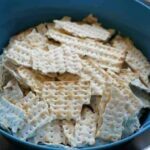 I will be serving chicken soup with Matzo balls, gefilte fish, chorases and Matzo brei. Macaroons and strawberries for dessert.